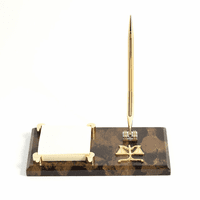 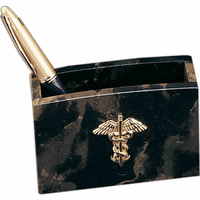 FEATURES/SPECS This genuine black marble paper clip holder is a must have for any busy legal worker. 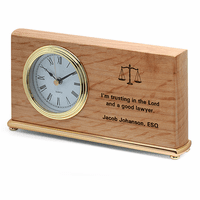 It showcases the symbol of the legal profession, the scales of justice, in polished gold adhered to the lid. 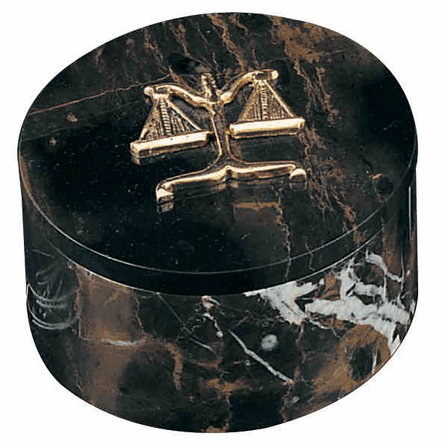 The six inch black marble case has intricate gold veins running through it and is perfect for holding not just paper clips, but any small desk accessories. 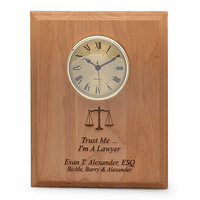 Make this an ideal personalized gift for a lawyer friend or loved one by adding a personalized gold plaque free of charge, just check the Personalize It box above.